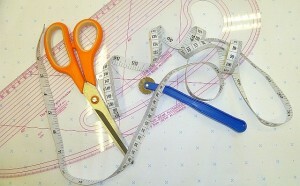 Home » blog » What is Pattern Cutting? Have you tried dressmaking and are wondering what to try next? Then pattern cutting may be your next step. Pattern cutting is making a basic pattern, to your specific measurements, that you can adapt to make different styles or trousers, skirts or bodices. Because they are based on your own measurements the fit will be much better than with a commercial pattern that you buy. 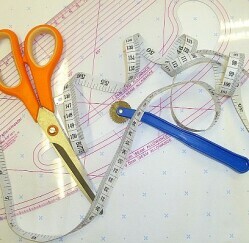 Here are some of the questions we are often asked about pattern cutting. How much experience do I need before I try pattern cutting? This depends on what type of pattern you want to cut but starting with a simple A line or straight skirt requires very little previous experience. Feeling confident using a sewing machine is all you need but previous experience of making a skirt will help. Trousers are slightly more complicated. An understanding of how the pattern pieces fit together helps but is not essential. Bodice patterns are best left till you are a competent dressmaker with an understanding of dart manipulation. Where sort of pattern do I start with? 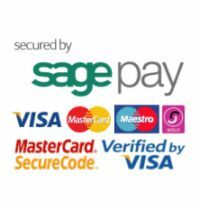 This will depend on how much experience of dressmaking you have and how confident you feel but we would suggest start with skirts or trousers. Once you have your basic skirt pattern is a simple process to alter the edge of the pattern outwards to create an A line or flared skirt or move it inwards to make a straight skirt. The choice is yours. The pattern for trousers is slightly more complicated but still very achievable. Like skirts the basic pattern can be easily altered for a straight cut, bootleg, flared or shorts to name a few. What is the actual process of pattern cutting? The first step is to take your measurements. The more accurate you are with these the better the fit you will get. Using a large piece of pattern paper you then start to draw your pattern. You follow a set of instructions which will guide you step by step in how to do this. This pattern is known as a “Block” which is a template that is personal to you. You can adjust your block to make the style you want. Use your block to make a “toile”. This means is a garment made up in cheap material so that the design can be tested and perfected. After you have made any adjustments you want to your block and you are ready to make your finished item. Do I need to be good at maths or drawing for pattern cutting? No the maths involved is very simple and we all have calculators on our phones these days! The drawing is mainly straight lines using a ruler or curves which you use a template for. What equipment do you need for Pattern Cutting? You will need a tape measure, pattern paper, pencils and coloured pencils, a calculator, ruler, rubber, scissors and a French or plastic curve. If this has whet your appetite for pattern cutting and would like to try it have a look at our skirt class or our trouser class.